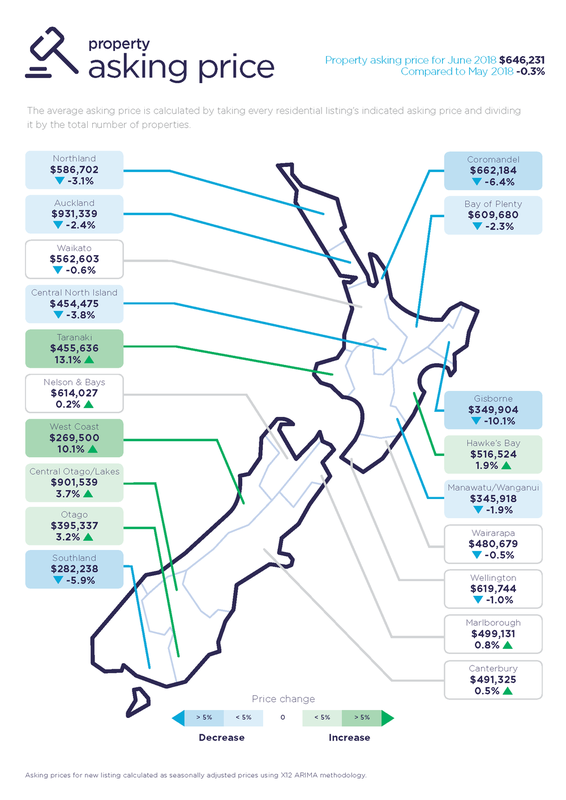 New property listings drop significantly in Auckland (14.8%) in June from the same time last year, while asking prices and buyer interest hold steady. The Auckland region records a fall in new listings and asking prices are back to 2017 levels which fell 2.4% to $931,339 compared to the prior month. Typically, in winter we hibernate, and this June was no exception with sellers wanting to wait to sell their property when they feel that it’s looking its best. In saying that, the average time for a home to sell in Papatotoe remains stable at 36 days and Manukau remains unchanged from the month previous sitting at 39 days. What this indicates is that buyers are still actively buying so listing with less competition can be advantageous to sellers. A recent report conducted by realestate.co.nz report, showed that there were many more buyers than sellers intending to be active in the New Zealand property market in the next 12 months. More than 800,000 unique users visited realestate.co.nz in June and with 22,605 homes for sale on the site currently, it shows that the property market is still busy, despite the cooler months. So I still don’t think it is a buyers market as the figures would suggest, mainly because there isn’t exactly a lot of great property available, vendors know that prices aren’t going down, and buyers know they aren’t going up. So what we are seeing is a middle ground where buyers are having to pay fair, and vendors are having to take fair - which to be honest neither of them really want but that is the reality of it. So to summarise, it's still a stable and well balanced market, offering good opportunities for both buyers & sellers. We need to continue to watch the sales volumes, inventory and level of new listings though - if the inventory levels get any further out, we may start to see changes. My prediction is that we won’t see much of all changing in the near future though. Moving house? Here are tips to move the hassle free way.